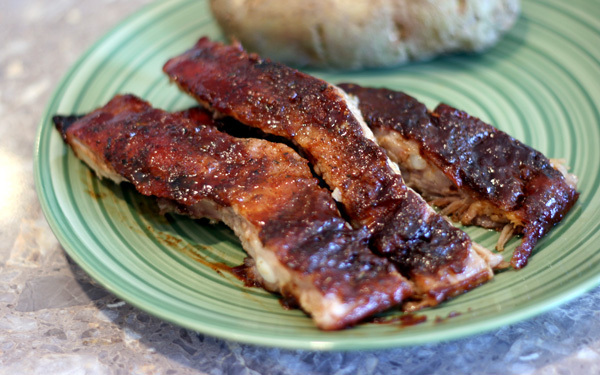 These Baked Barbeque Pork Spareribs are amazingly delicious. I have made these twice now because they are just so awesome. Be aware that these are slow cooked in the oven and take 4 hours total to bake. They are super easy to make even though they take 4 hours, just add some sauce half way through cooking and let it go. I will definitely be making these Baked Barbeque Pork Spareribs again. Enjoy! Make the dry rub by combining the garlic salt, cumin, pepper, paprika, chili powder, oregano and brown sugar together in a small bowl. 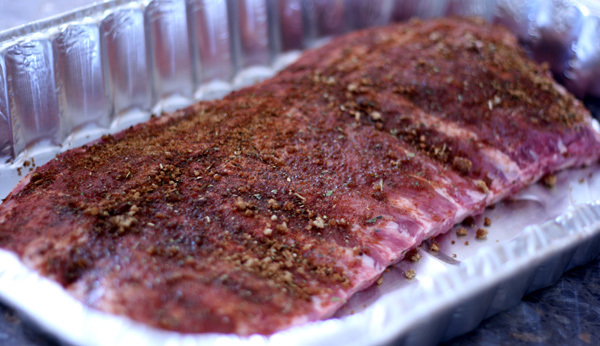 Prepare the spareribs by removing the skirt on the back side of the ribs. It looks like random piece of meat on the back. Also remove the membranes, which are a white film on the back side of the ribs. Get under the corner of the membranes with a knife, get a good grip on it and pull straight up. Put half of the dry rub on the bottom side of the ribs. Place the rack in a large roasting pan, seasoned side down. Rub the remaining dry rub on the top side of the ribs. Place in oven and bake for 2 hours. 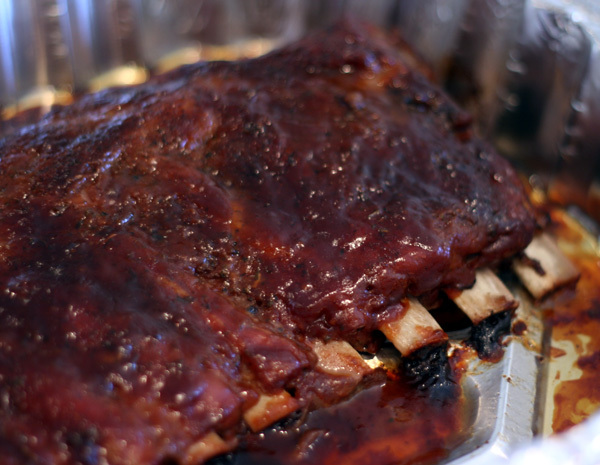 Remove from oven and brush on some barbeque sauce until the ribs are completely covered, about 1/2 cup or more. Cover the pan with foil and bake for 2 hours. Serve with additional barbeque sauce.